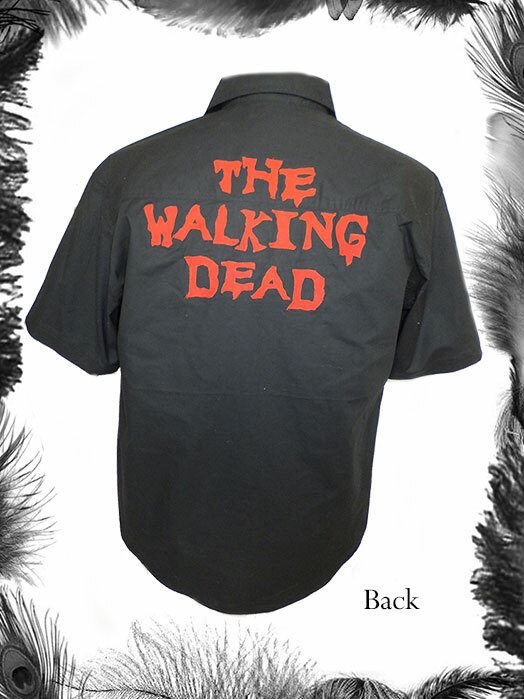 The Walking Dead Comic Print & Motif Shirt. 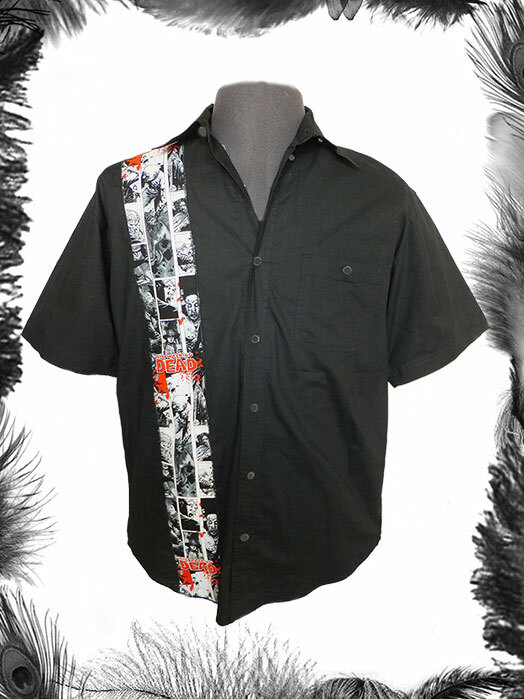 Walking Dead Comic Print strip down front right side and red motif on back. Shirt can be made without back motif if preferred - email for details.